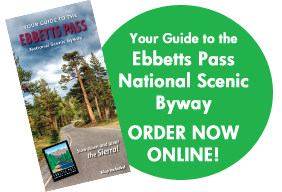 Two state parks and two national forests along the byway route each offer camping opportunities in developed campgrounds, as well as in dispersed areas on national forest lands and within the Carson-Iceberg and Mokelumne Wilderness areas. 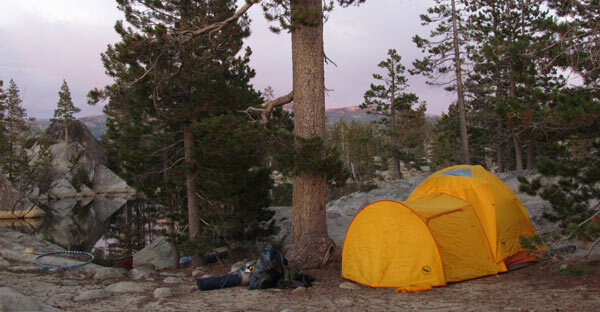 Calaveras Big Trees State Park has two developed campgrounds, while Grover Hot Springs has one large developed campground. 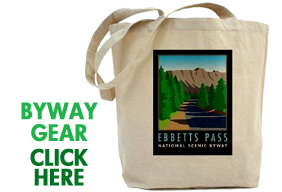 The Calaveras Ranger District of the Stanislaus National Forest manages 13 developed campgrounds on the west side of Ebbetts Pass, while the Carson Ranger District of the Humboldt-Toiyabe National Forest provides several scenic campgrounds on the east side of the pass. Contact Calaveras Big Trees State Park, Grover Hot Springs State Park or the Forest Service (Stanislaus or Humboldt-Toiyable) for information on individual campgrounds, availability, reservations and restrictions.